At a hotel, Father Brown tries to find out who killed an outspoken local man in a hotel bar. Even after further explanation, the American still doesn’t quite get it, so Father Brown introduces the stories as case studies in his method. The eight mysteries that followed are asolid group. While, I don’t think the cases rise to the level of the brilliance of the Incredulity of Father Brown, there’s not a bad story in the lot. Probably the weakest stories in the volume are The Song of the Flying Fish and The Red Moon of Meru and that’s only because they seem similar similar to other attempted theft stories in other volumes. “The Mirror of the Magistrate” finds Father Brown insisting that a revolutionary poet is innocent of murdering a judge. Father Brown’s ability to see the events from the poet’s perspective helps him avoid the assumptions the police fall into. “The Man with Two Beards” finds police searching for a famous jewel thief who has emerged to rob again. He’s apparently killed while committing another robbery, but is that what really happened? Father Brown probably faces one of his most clever and surprising adversaries in this case. “The Actor and the Alibi” tells the story of a theatre owner being murdered where everyone seems to have an alibi. This is a case where nothing is what it seems and Father Brown has to see through a clever rouse. In addition to this there are a couple other noteworthy stories: “The Vanishing of the Vaudrey” is perhaps the darkest Father Brown tale I’ve read yet, while “The Chief Mourner of Marne” is one of the more profound. A man has secluded himself and is in mourning. Rumor has it that Catholic monks have forced him to do it due to a duel he fought with his brother. 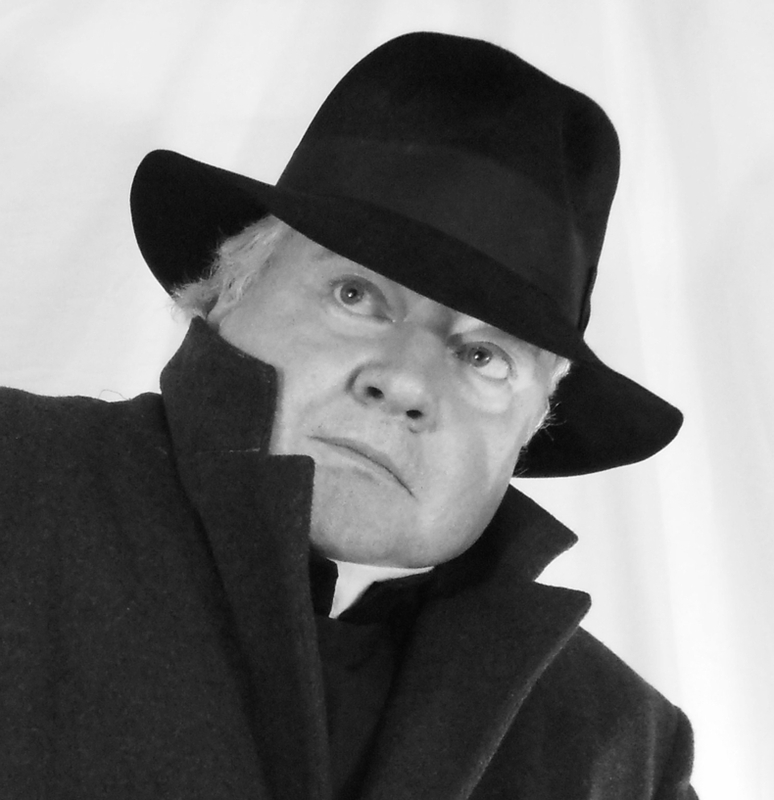 Father Brown seeks to uncover the truth and clear the Church of scurrilousness charges. Along the way, the story provides enormous food for thought on forgiveness. Overall, this is a great collection with eight mysteries that will appeal strongly to any Father Brown fan and also showcases some interesting developments and growth in Chesterton’s philosophy. In 1974, Father Brown came to ITV with Kenneth More starred as G.K. Chesterton’s sleuth. The series adapted thirteen of the Father Brown Mysteries to television. The results were a bit of mixed bag. Kenneth More’s acting as Father Brown was certainly not a mixed bag. He played a delightful but cunning Father Brown, embodying the great clerical detective with warmth and humanity. To be fair to the producers, as I said with the Colonial Theatre adaptations, the Father Mysteries are challenging to adapt because they were never written with dramatization in mind. Oracle of the Dog, for example, features a mystery where Father Brown never visits the scene of the crime, while Curse of the Golden Cross features a murderer who never even finds out he’s been found out. Such results may make for interesting thought experiments and mental puzzles, but it makes for poor television. The additional challenge with this Television series is that they had an hour for each episode. As both Colonial Radio Theatre and BBC Radio 4 have proved, half an hour is more than sufficient to tell Chesterton’s stories. The one hour format could allow them to flesh out the stories and make them more compelling and dramatic or it could allow them to merely pad the stories. The producers did a little of both. These were fine and perhaps the best of the lot was “The Hammer of God” which was powerfully told as well as faithful to Chesterton’s story. Perhaps the most interesting was, “The Secret Garden” which remained faithful to the spirit of Chesterton’s story while changing some details. While I might have been biased by having read the story and hearing the Colonial Theatre adaptation, to me it seemed the telefilm made obvious who the murderer was, which gave the episode an almost Columbo-like feel as Father Brown seemed to take on a few more odd mannerisms. Columbo was, of course, based in part of Father Brown. So if the creators of the Father Brown TV series were consciously or subconsciously mimicking Columbo which was consciously based partially on Father Brown, then everything had come full circle. Even as he did so he realized that he was an Englishman and an exile. He realized that he was among foreigners, even if he was among friends. Around that ring of foreigners ran a restless fire that was not native to his own breed; the fiercer spirit of the western nation that can rebel and lynch, and above all, combine. He knew that they had already combined. Placing the story in England means that not only doesn’t the program communicate this idea, it discards it completely. One other criticism of the series is that the show seemed to be at war with Chesterton at times. Chesterton created Father Brown as a very orthodox Catholic Priest. Yet show creators put words into Father Brown’s mouth that totally violated his character. In one episode he declares that he likes talking to atheist because “he doesn’t have to talk shop.” and in another decries that as a priest, he’s often called upon to reunite families that would be better off separated. A more “cool” modern 1970s British priest might say that, but Father Brown? Also, in, “The Quick One” Father Brown bemoaned the murder of a somewhat crankish Tory saying he was one of the few men who could have saved England. The show’s creators decided to insert an aggrieved daughter of the Tory who had been bullied and kept from her true love. This had nothing to do with the mystery, but it served to make the writers’ political point in disagreeing with Chesterton and added a good ten minutes to the story. If you can get past the mis-steps and revisionism, the series offers several good adaptations and whether the material is good or poor, Kenneth More’s performance is always a saving grace.